Children are at the heart of our community and we believe that it is important that they feel welcome and cherished. The younger members of our Church meet together during the 9.45am Communion Service in two groups; 3 to 7 years and 7 to 11 years. The children are led by a team of enthusiastic adults who help them through music, craft, stories, prayer and fun to learn about the joy of the Christian life. All the children and leaders join the rest of the congregation in time for a blessing or to receive Holy Communion. Every year we enjoy a trip to the seaside as well as other events such as barbeques, summer and Christmas parties. 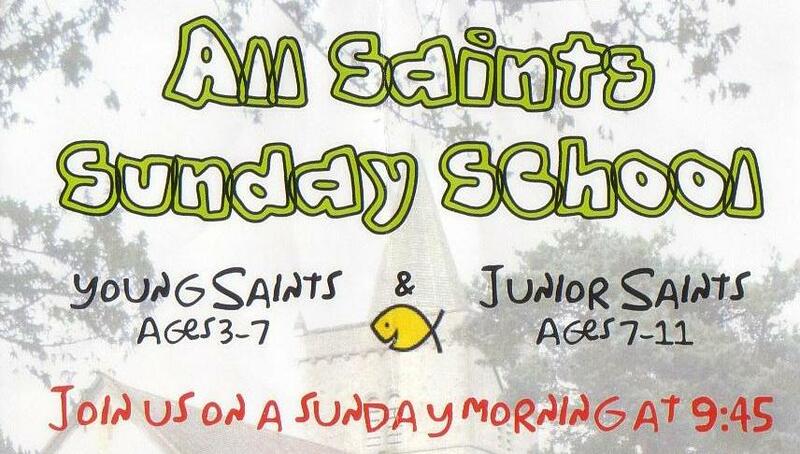 Young saints meet during term times at 9.45am each Sunday except the first Sunday of the month when there is a special service for all ages - All Saints Together. We meet in the Jubilee Hall which is behind Witley Infants School, only a few yards from the church. In the school holidays there are often other activities for younger children during the 9.45am service. Click here to download the Sunday School information flyer. Click here to download the current Sunday School calendar / rota. We are here to learn about God and have fun!